The other day, Bethesda confirmed during its E3 2016 conference that a new version of the popular latest entry of The Elder Scrolls series, Skyrim, will receive a new enhanced edition called The Elder Scrolls V: Skyrim Special Edition. 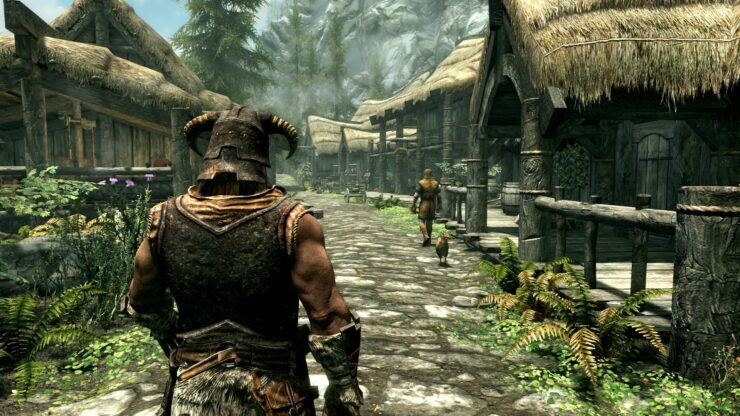 The original Skyrim is still one of the most played games on PC, mostly thanks to the huge amounts of available mods, and it seems players will be enjoying these mods in the new version of the game as well. Recently, Bethesda’s Pete Hines confirmed that old Skyrim mods will apparently be fully compatible with The Elder Scrolls V: Skyrim Special Edition. This is great news even for console players, as the Special Edition will come with mods support on PlayStation 4 and Xbox One, just like Fallout 4 did. Not much else has been said about the matter, but the developer of the Skywind overhaul revealed that the Skyrim Script Extender will have to be updated to take advantage of the 64 but engine. He also elaborated on the PS4 and Xbox One versions mods implementation. Now on to a Console port. Most of us would love to bring Skywind to console, and they could probably run it fine. The only problem is that consoles mods can not require SKSE since SKSE directly changes the game engine. There is a possibility Bethesda may add SKSE support in the future, but without it there is not way to port Skywind to console. I believe we may in the future try to contact Bethesda and see if we can work this out but it is a very small chance. Overall the prospect of a new engine is very exciting for our team and we cant wait to see what the future holds for Skywind. PC Players who have supported Bethesda faitfully by purchasing the original Skyrim and all DLC packs will finally be rewarded for their support, as they will be able to download the Special Edition for free. The same won’t happen for PlayStation 4 and Xbox One owners for obvious reasons. The Elder Scrolls V: Skyrim Special Edition will launch on PC, PlayStation 4 and Xbox One in all regions on October 28th. More on the new edition of the now classic role playing game will surely be coming soon, so stay tuned for all the latest news.